My 40 hour a week job is a receptionist at a medical centre. It is not in the rich area of town but rather in the middle of the poor in our community. I am honoured to be part of their lives and often this part is during a rough period as 95% of the time people come to see us when they are sick. In my role I get to meet all of our patients, I get to know them and their families and I get to see how unique and special each person is. So when one of these precious people is diagnosed with something terminal or a death suddenly happens, I get to be part of the grieving journey with this person and/or their family and friends. Having experienced grief first hand through Mark’s ten year illness and then with his death I know a little of what each person is having to endure. I watch the shock, hug them through the tears, pray for them but mostly I wish. That probably sounds like a funny thing to say as a Christian, like I believe in magic or something but that is not what I mean. What I mean is; I wish that person, their family and their friends did not have to go through this. I have lived it and I know how revolting grief is. It literally breaks your heart, it gives you physical pain, your brain stops functioning, you no longer have control of your emotions, you are irrational, moody and can be aggressive. You become demanding and withdrawn at the same time. Life looks grey, all colour has lost its brightness and hope wanes. Some lose sleep, for me all I wanted to do was sleep. Some don’t eat and others eat for comfort. You constantly want what you can’t have and the majority of the time that ‘want’ is to go back in time – A time before illness and death invaded your life. But there are no time machines, there is only forward and forward means having to keep living when actually you don’t really want too. That is what I wish. But I know that that person and the people involved in that person’s life have to deal with the grief. It is going to become part of who they are, it is going to mould them and if they let it, it will mould them for good. Good. How can something so horrific like grief bring good? I don’t know how God does it but truly if we let him he does eventually use all grief for good. How do I know this? Because the proof of it is in me and my four beautiful amazing daughters. We are rising again out of the ashes of grief. We are facing the world and we are saying we want to make a difference in people’s lives, we want to love like Jesus, and we want to be part of God’s solution to a hurting world. 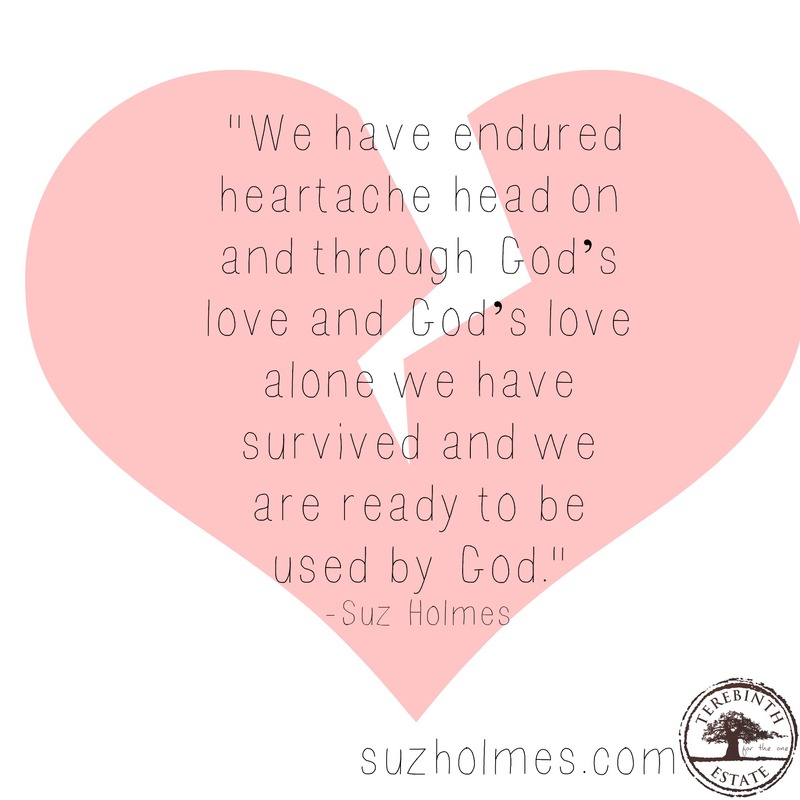 We have endured heartache head on and through God’s love and God’s love alone we have survived and we are ready to be used by God. Only the grief we endured could make us the people we are today. Only the heartbreak we carried could make us into the compassionate people we have become. And only by experiencing God heal us could we then with absolute conviction offer this same healing to others. 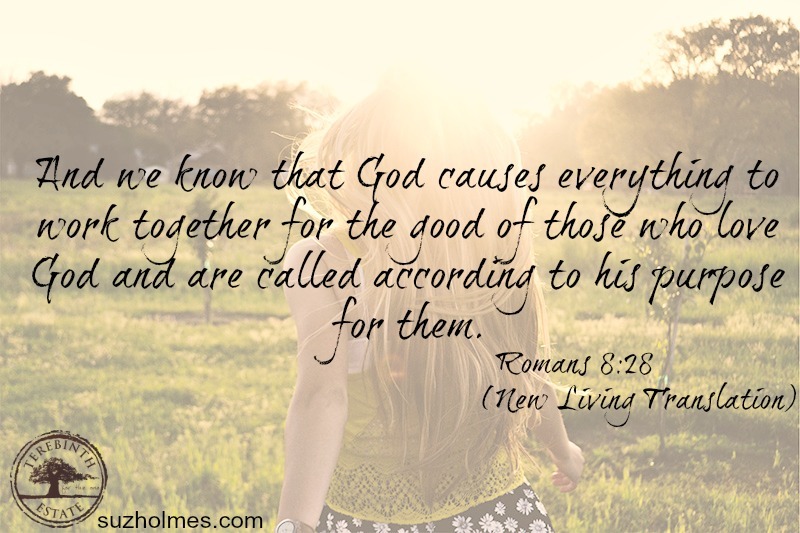 I wish no one had to face grief but I know that if people let God in and allow him to have control, he can turn that grief into something amazing to live for! Let God have your grief today and then watch what he will do with that grief and with you – I promise you it will be remarkable!